The Elli class of Hellenic Navy (Πολεμικό Ναυτικό) is a class of nine (9) general-purpose frigates. These are ex-Royal Netherlands Navy (Koninklijke Marine) Kortenaer-class frigates which are also known as Standard or S-class frigates. The name "Standard" came from the idea to pursue standardization within NATO fleet. Ten ships were built by the former Royal Schelde Dockyard (now Damen Schelde Naval Shipbuilding) and two by the former Wilton-Fijenoord (it has been acquired by Damen Shiprepair) between 1978 and 1983. 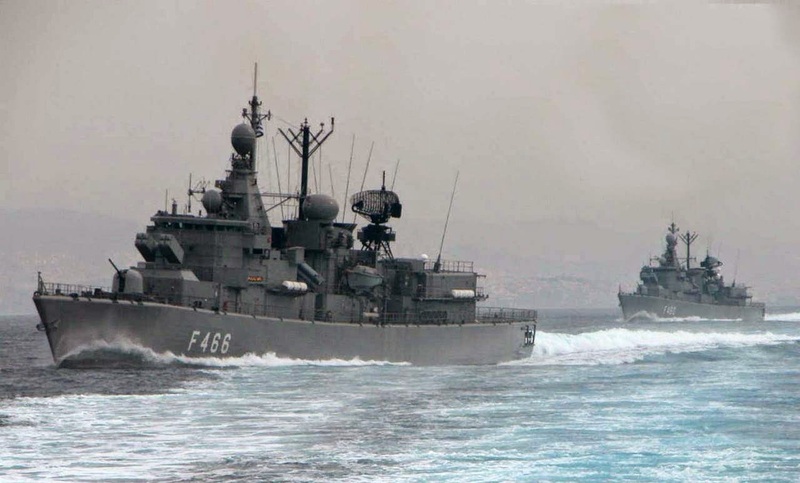 A total of twelve S-frigates were built, two for Greece (frigates n.6 and n.7 during construction were sold to Greece, L-frigates replaced them) and ten for the Netherlands. Ultimately, of these ten Dutch ships, eight were sold to Greece and two to the United Arab Emirates. The Iranian Navy ordered eight modified ships from Royal Schelde but the contract was canceled after the Iranian Revolution. Together with the Jacob van Heemeskerck class (also known as L-class), an AAW variant of the Standard frigates, it was the largest Dutch naval shipbuilding project of the 20th century. Once, these frigates were the workhorses of the Royal Netherlands Navy, today they are the workhorses of the naval force of Greece. The following image was created by Donn Thorson and it illustrates in detail main characteristics and weaponry of one of the most famous battleships in United States history, the USS Arizona (BB-39). USS Arizona was a Pennsylvania-class battleship built for and by the United States Navy in the mid-1910s; it was the second and last of the Pennsylvania class of super-dreadnought battleships which in comparison with the dreadnoughts, they had increased displacement, heavier guns and all their main armament was placed on the centreline. The ship is best known for her cataclysmic and dramatic sinking during the Japanese attack on Pearl Harbor on 7 December 1941, the event that brought about U.S. involvement in World War II. During the Japanese attack on Pearl Harbor, Arizona was bombed. The battleship exploded and sank, killing 1,177 officers and crewmen. 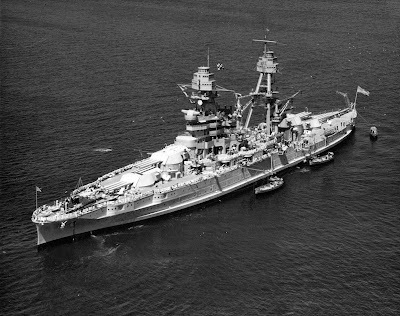 Unlike many of the other ships sunk or damaged that day, Arizona could not be fully salvaged, though the Navy removed parts of the ship for reuse. The wreck still lies at the bottom of Pearl Harbor and the USS Arizona Memorial, dedicated on 30 May 1962 to all those who died during the attack, straddles the ship's hull. D560 Luigi Durand de la Penne, lead ship of the class. Elegant lines and powerful armament. 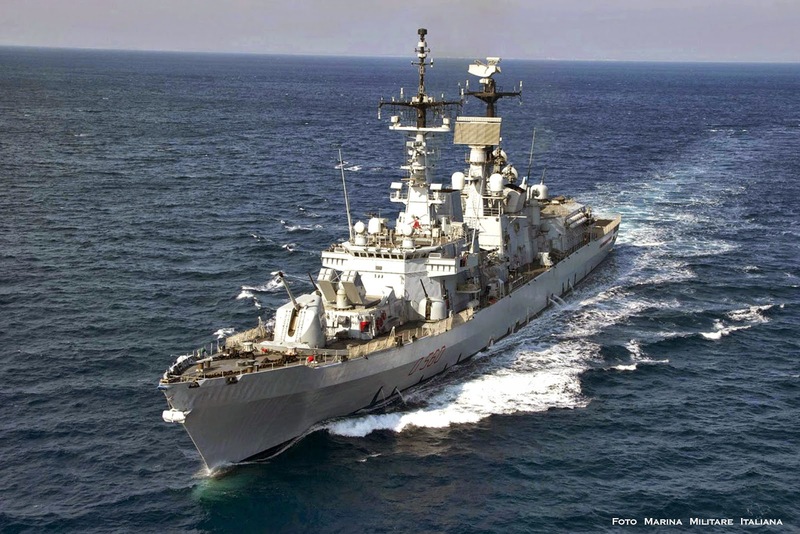 These are the characteristics of the Durand de la Penne class destroyers of Italian Navy (Marina Militare), the last class of non-stealth major surface combatants in service with Italian Navy and some of the most beautiful and well-armed warships ever built. Two ships belong in this class of anti-aircraft warfare (AAW) destroyers, the Luigi Durand de la Penne and the Francesco Mimbelli. The ships were built by Fincantieri and they were commissioned in 1993. Initially there was a plan to built four ships of the class but the second pair was cancelled as Italy joined France in the Horizon project for AAW destroyers. The ships of the class are advanced and quite capable to perform any kind of mission given due to their extensive armament and electronic equipment.